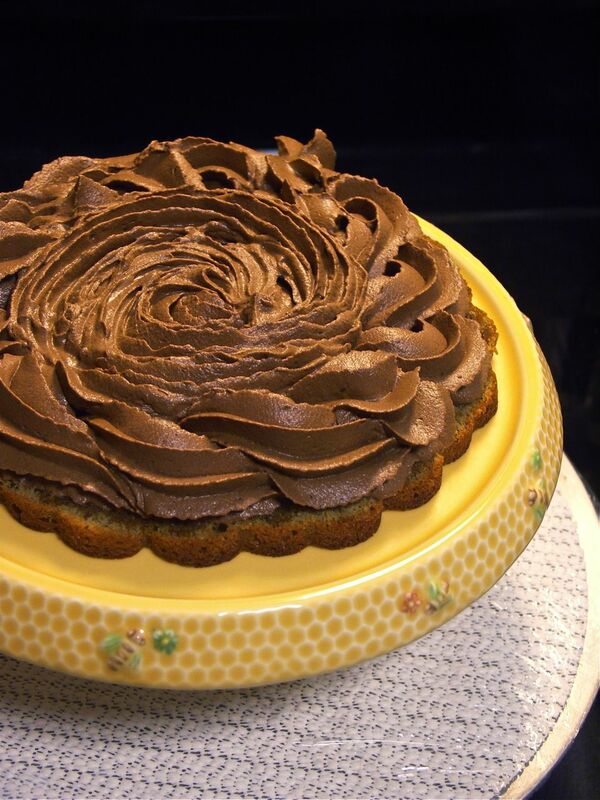 a few photos on how to compose hector’s take for ROSE’S heavenly CAKES: Genoise Tres Cafe (page 182). 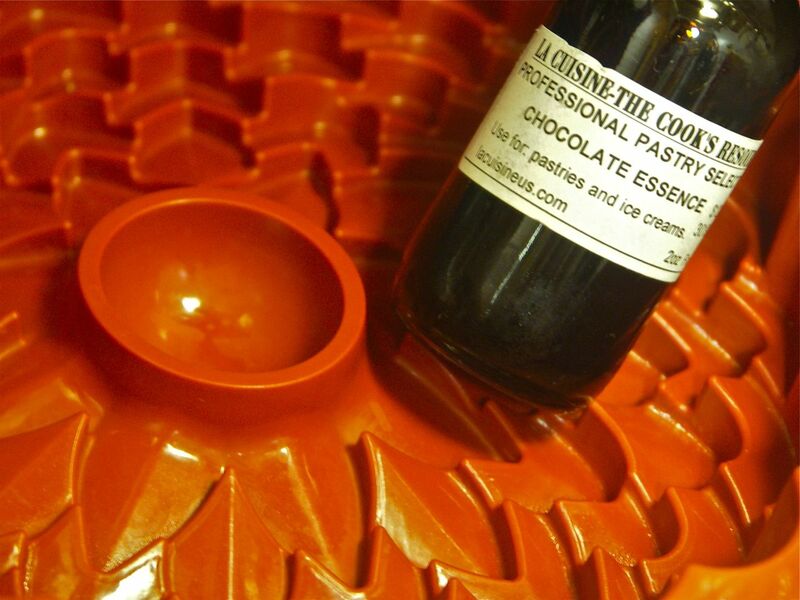 2- add a couple of drops of chocolate arome to the ganache. 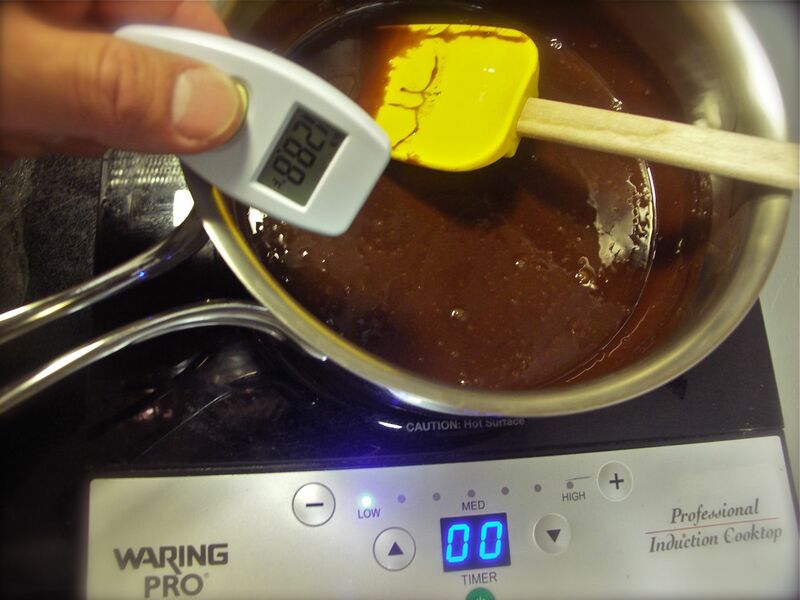 i stir in the arome after the ganache is made but while still warm. 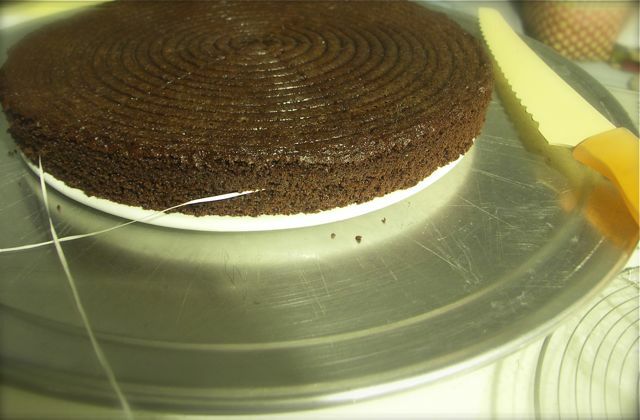 5- i use a long serrated knife, a turn table, and dental floss, to torte the genoise in half. 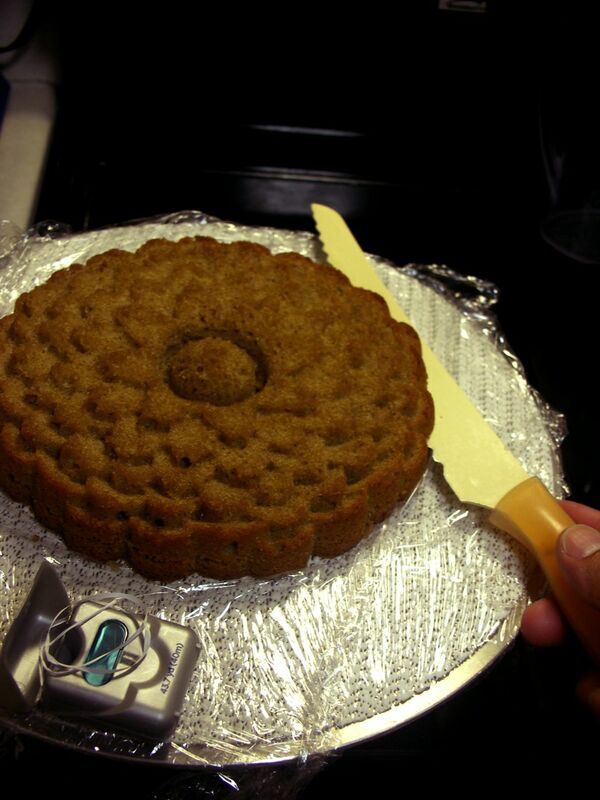 start by scoring only 1/4-inch deep as you turn the cake with the turn table, keeping your knife stationary. on the second turn, score deep enough to bury your knife’s width; be sure the knife follows the 1/4-inch line. put the knife away. hold a 20-inch piece of dental floss, and wrap it around the knife cut. where the ends of the dental floss meet, pull each end in opposite directions, strangling the cake. here is another picture of how to use the dental floss. Its one of life’s ambitions, to be able to pipe like this, smile. s, all u need is practice. u can learn it in a week! Nice tip – cutting the cake with floss! Now I have to make sure and pick up some that is plain and unflavored. J, I am using glide floss and it is minted! thx J. i’ve been receiving STRONG compliments on the piping. i think the beauty comes form using a very large star tip piping tube. give it a try, it is approximately 1/3 inch wide. the stars and shells pipe well defined. H, is the middle part using star piping tube as well or is it a rose tube? J, GOOD question. it is all done with the same star piping tip. 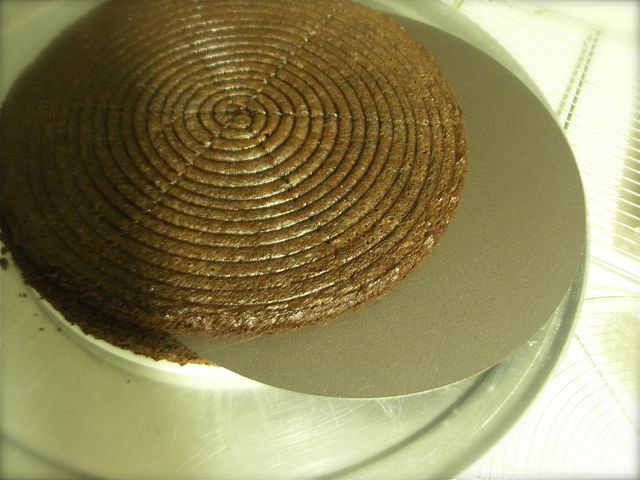 i started doing the shells on the border, then filled the center in circles, smashing the tip a bit against the cake. I was wondering in which order you did the piping, as they seem so closely together. 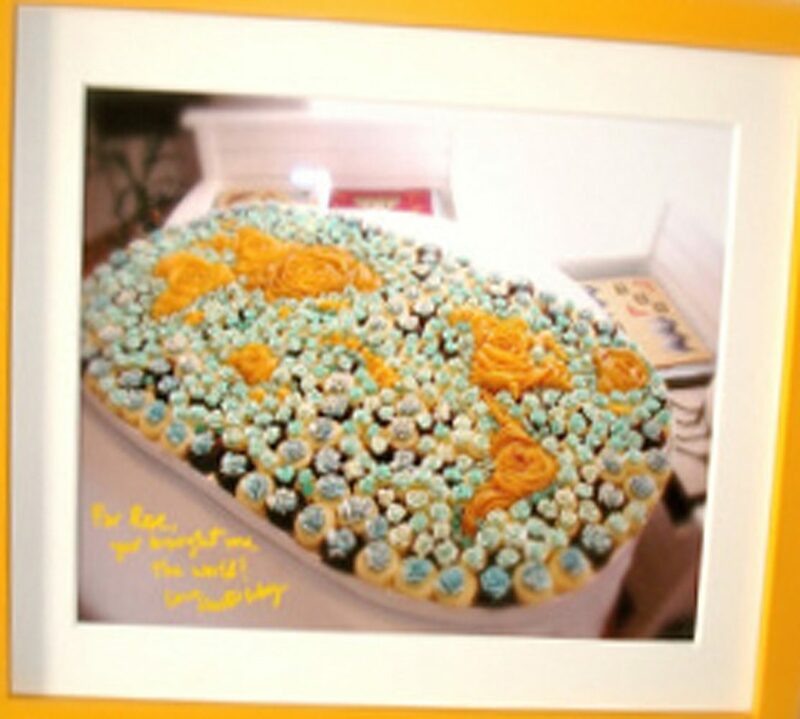 If I may choose, this is my 2nd favorite of your piping – the 1st one being your rose piping (in a heart pan). OMG, thx for picking my favorites. 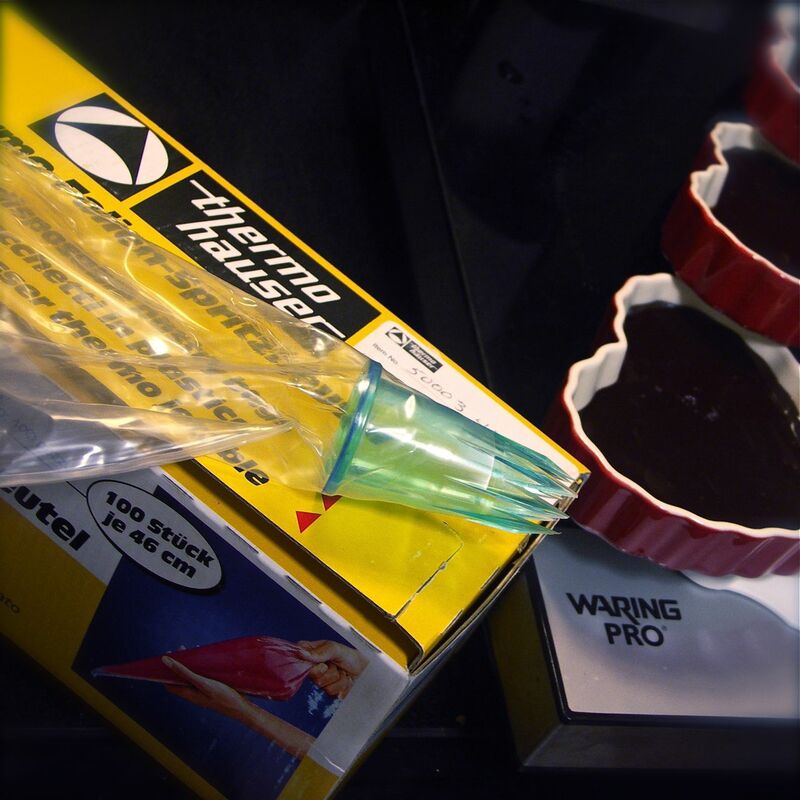 i think it is a GREAT investment to use my thermohauser polycarbonate piping tips. these don’t come in small sizes, however, but these have a great definition and sharpness (the tubes are unlike metal tubes, the tubes have additional grooves from the inside of the tube that must guide the flow of frosting out better). i wish these were more widely available. H, I have been coveting those tips ever since you showcased them months ago!!! I have A LOT of baking stuff still on my wish list and so I talked myself out of buying this. Finally broke down and ordered it today. What the heck, it’s early Xmas present from myself to myself :). J, u will love these Thermohauser piping tips and find yourself using these the most. they are also durable durable durable!